When I am buying a gift for someone, I try to think of something that will be useful or helpful in their life and fit with what I know about that person. When the person is going through cancer treatment, that can be a little more challenging. People often suggest a cozy blanket for treatment days, books, gift cards, etc. These are all nice ideas, but this year I came across a different idea. 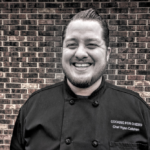 You may have seen a few of Chef Ryan Callahan’s blogs here on OncoLink. In case you don’t know his story, his mother was diagnosed with breast cancer and spent the next year going through surgery and chemotherapy. As is the case for many people receiving chemotherapy, her taste changed and her appetite suffered. Ryan called on his culinary training and unique knowledge of food and flavors to help his mother regain her appetite. Ryan realized this problem was not only affecting his mother, but many people with cancer. A light bulb went off and he realized what had worked for his mother could help many people dealing with these same challenges. 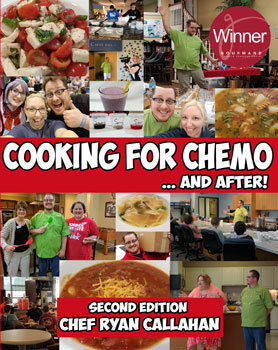 From that, Cooking for Chemo ….And After! was born. Cooking for Chemo …and After! Is a book designed to teach anyone, from a beginner to a more experienced home-cook, how to adjust their cooking to combat loss of appetite, metallic taste, and mouth sores, for themselves or a loved one going through cancer and chemotherapy treatment. Through Chef Ryan’s many years of cooking experience, he is able to outline and teach the reader how to implement his easy to understand cooking techniques. The book teaches you the basics of flavor and how cancer treatments affect a person’s ability to eat and how to put your new flavor wizardry to work to combat eating related side effects. There are individual sections dedicated to common side effects that can be helped through Ryan’s tips and recipes. There are recipes for main dishes, sides, snacks, soups and smoothies and a bunch of resources to help you implement what you learn. If your gift list includes someone going through cancer treatment or a caregiver, perhaps this book is the answer to your gift dilemma! You could even put it in a basket with a few pantry staples or cook up one of the many recipes in the book to go along with it. 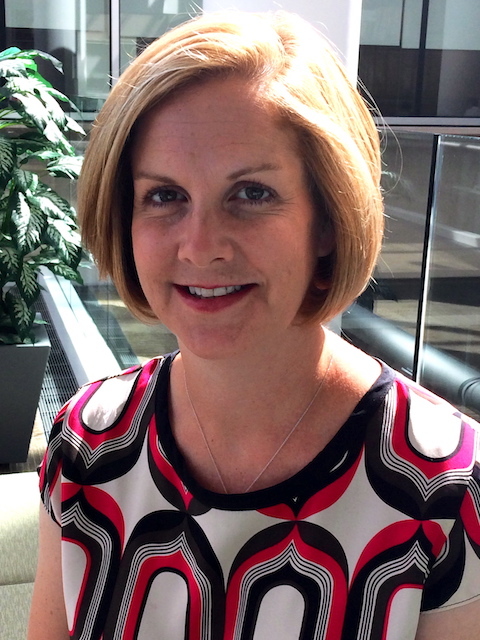 Carolyn Vachani is an oncology advanced practice nurse and the Managing Editor at OncoLink. She has worked in many areas of oncology including BMT, clinical research, radiation therapy and staff development. She serves as the project leader in the development and maintenance of the OncoLife Survivorship Care Plan and has a strong interest in oncology survivorship care. She enjoys discussing just about any cancer topic, as well as gardening, cooking and, of course, her sons. This entry was posted in Did You Know?, Homepage, OncoLink News and tagged cancer nutrition, cooking for chemo, eating during chemo, gift ideas. Bookmark the permalink. ← Holiday Coping & Enjoying!